Who's afraid of the big, bad blog? PHE Screening had a stand at the Royal College of Midwives' annual conference. It was great to meet loads of people and talk about the work of the antenatal and newborn screening programmes. We even managed to sign up lots of health professionals to the blog. We completely understand that the blog is still quite new and perhaps a little bit scary. But our message is: DON’T PANIC! So here’s our guide to the blog for absolute beginners. 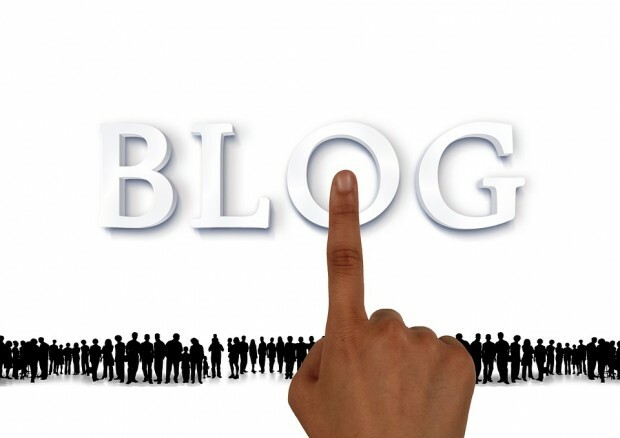 The word ‘blog’ is short for ‘weblog’. It's just a style of publishing information online with the most recent content appearing first. Most blogs provide commentary on a particular theme or topic, like an old style newsletter. 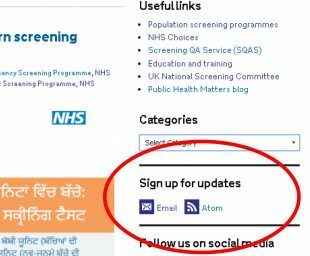 In fact, the PHE Screening blog replaced the screening newsletters we used to have. So it's just a modern take on the humble newsletter. Remember, the blog’s just a list of useful and interesting articles. The grey box at the top shows a featured article we want to highlight for a while. Under that are all the articles (or ‘blog posts’), with the most recent first. Each has a title, author, date and category. You can then read the first couple of sentences and see a picture, if there is one, to help you decide if you want to read the whole thing. Each blog is categorised by screening programme or general topic. To see all blog articles in a certain category, just make your choice from the drop down list (right). You can also bookmark a category page, which basically becomes a newsletter on that particular programme. You can also search for a particular word or phrase using the search bar at the top of the page. After reading a blog article you can submit a comment or question if you want but you certainly don’t have to. Your name will be shown by your comment but not your email address. We try to respond to comments as quickly as we can. You may subscribe to a favourite magazine to make sure you don’t miss an issue. Subscribing to the blog is like that, except it’s free! To subscribe, click on the ‘email’ link under ‘sign up for updates’ (right). Then enter your email address and press ‘submit’. You’ll then get an email to notify you whenever a new blog article is published. The only drawback at the moment is that you’ll get emailed about all blogs but there may be some categories you’re not interested in. Hopefully it’s easy to just ignore any irrelevant notifications. 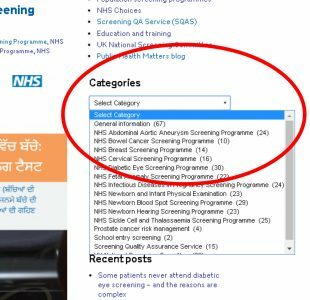 We're hoping the Government Digital Service will introduce a new feature in the future to allow you to subscribe only to the categories you’re interested in. Tip - You will not be able to search for blog posts on GOV.UK. So remember to visit the blog pages as well. We asked a couple of midwives to tell us about their experience of the blog. Once I understood the blog was nothing to be nervous of, I grew to like how good it was to have all screening news in one place. I believe it's one of the best ways to disseminate information and recommend it to all my midwifery colleagues. I like the blogs and find them useful. I like the way they are a little more informal and get information across in a more friendly way. And if there’s an action it’s always made clear. So my advice to anyone who hasn’t yet discovered the blog is ‘don’t be scared of it’! Bye bye PDF, hello HTML!